I just got back from speaking with homeschoolers in six different Alaskan cities (Fairbanks, Kenai, Kodiak, Wasilla, Anchorage, and Juneau). In each city, I gave the same two talks: Homeschooling: Discovering How and Why It Works and Life is Amazing. I gave the first talk in the morning, and it was really for parents. However, there were some students in the morning sessions, and for the most part, they seemed to stay awake. The second talk was in the afternoon, and it was really for the students, but there were a lot of parents as well. Everyone enjoyed it, because I showed some amazing animations and videos (you can find links to them in the PDF linked above) and discussed in detail the science behind what the videos were showing. Lots of great things happened during my time in Alaska, but two of them really stand out in my mind. 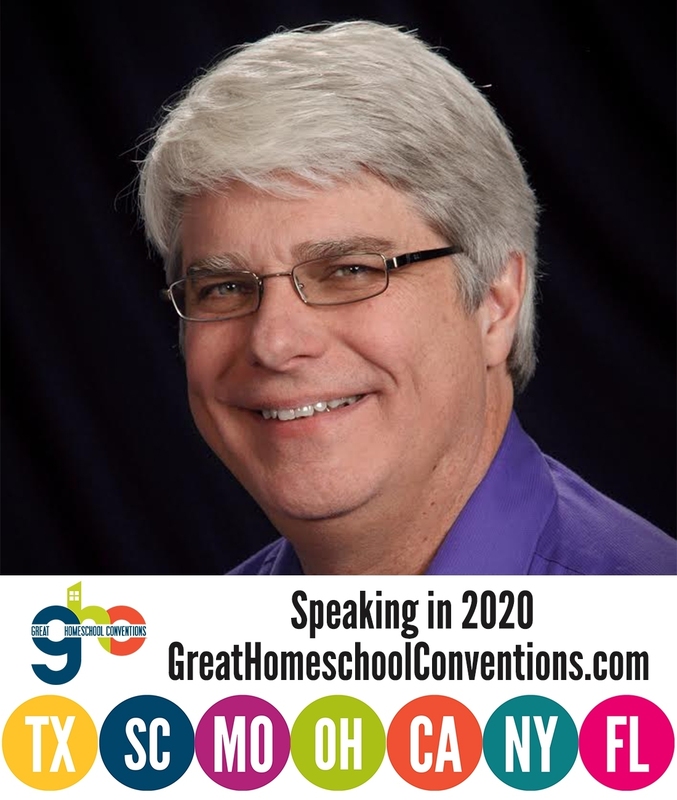 In the morning talks, I showed several studies that indicate homeschooled students excel, both academically and socially. After I showed these data, I tried to offer some explanations as to why homeschoolers excel. You can see those reasons in the PDF file linked above. However, I also asked the audience to come up with their own ideas as to why homeschoolers tend to excel. I got many excellent replies, but I want to highlight one of them. In summary, the present survey of biographical information on a sample of twenty men of genius suggests that the typical development pattern includes as important aspects: (1) a high degree of attention focused upon the child by parents and other adults, expressed in intensive educational measures and, usually, abundant love; (2) isolation from other children, especially outside the family; and (3) a rich efflorescence of phantasy, as a reaction to the two preceding conditions. Now as I said, I am not sure how effective such a study really is, so I don’t take these results to be conclusive by any means. However, what he describes sounds an awful lot like a homeschool! Homeschooled children are given a high degree of attention from their loving parents, often in the form of intensive educational endeavors. While not completely isolated from children outside the family, homeschooled students certainly have less contact with their peers than do non-homeschooled students. Finally, most homeschoolers I know severely limit the amount of television that their children can watch, which encourages imaginative play. In the end, then, it seems that homeschooling naturally provides a lot of what Dr. McCurdy thinks is necessary for the development of genius. It might be remarked that the mass education of our public school system is, in its way, a vast experiment on the effect of reducing all three of the above factors to minimal values, and should, accordingly, tend to suppress the occurrence of genius. If nothing else, I think the good doctor’s comments are worth pondering. The other thing that stands out in my mind was really the highlight of the trip for me. 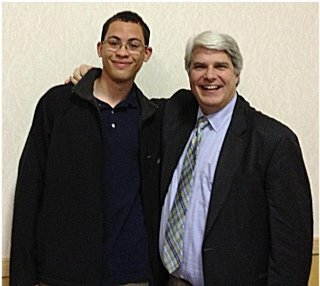 It involved seeing a young man that I met during my previous speaking tour in Alaska. His name is Joshua Russell, and you can see him with me in the picture at the top of this article. I remembered him from my previous trip, because I learned that he and his mother flew in from Barrow, Alaska to hear me. The trip cost them each $660! I was rather shocked that anyone would spend that much money to hear me blather on for a few hours. Well, when we met up this time, it was in Anchorage. It didn’t cost his family anything significant, because they had since moved close to Anchorage. He and his parents took me out to dinner, and I got to learn all about what this incredible young man had been doing since we last met. He’s been rather busy. He has taken six of my science courses as well as a fantastic marine biology course written by Sherri Seligson. But wait…there’s more! He decided to participate in a summer college program that allowed him to study both biology and trigonometry at a higher level. He performed so well in those courses that he was awarded a full-ride scholarship to any school in the University of Alaska system! At this point, he plans to get his degree in marine biology (well done, Sherri!). When I was in Middle School, I must admit that I hated science. However, in my second year of homeschooling, I discovered Dr. Wile’s curriculum. After one year of using his curriculum, I became neutral on the subject…By the next year, science was my favorite subject…This change might have come around eventually, but I believe that Dr. Wile greatly expedited this process with his curriculum…So, as you can see, Dr. Jay Wile has had a large impact on my life…He inspired me to seek a college degree, provided a way for me to pay for said degree, and he has made my high school science education pleasurable! I have to say that many times, I get so bogged down in the day-to-day business of writing, arguing with evolutionists, and giving talks that I lose sight of why I am doing all this in the first place. This past week, Joshua vividly reminded me. Thank you, Joshua, and congratulations! 1. Harold McCurdy, “The Childhood Pattern of Genius,” Journal of the Elisha Mitchell Scientific Society 73(2):448-462, 1957. Wow, thanks for the encouraging words, Jay! But I think you get the kudos for initially inspiring this young man. What great accomplishments he has made! And it is encouraging to see more and more evidence to support an educational strategy that feeds the passions and God-given skills of the student. Maybe I’ll get up to Alaska one day to meet him! Thanks, Sherri. If you get up to Alaska, get dry-suit certified (if you aren’t already). It is a very different kind of dive up there! Interesting study… Most people forget that “homeschool” was the norm before public school. And even those one-room school houses were just a few families (much like we do for our homeschool support group). I’m hoping my daughter turns around and enjoys science a little more after doing your General Science book. And hopefully, I will too 🙂 My daughter is dyslexic, and all that writing is very mentally taxing for her. I often scribe for her, and we’re “lab partners.” I am always pleasantly surprised when she gets the point of an experiment. She doesn’t always get it, so I ask leading questions to see if I can get her to see the point without me just flat out telling her. We’re just about to finish up Module 3 but a sick child needed medical attention this morning, so hopefully by the end of this week. I love homeschooling my kids, and it is great materials like yours that make it possible. I am not married yet but am in the process of becoming engaged. My girlfriend and I have talked about the different modes of education for our future children. She has seen the education system her whole life as her father is a high school administrator. They have moved numerous times and thus have seen a variety of educational styles and methods. We have both decided that it would be best for our children to be home schooled. The reasons for a decision are numerous, such as this was the norm for history, better personalized studies to benefit the child, overseeing the material to ensure quality, control over curriculum, and the list goes on. But I would like to thank you, Dr. Wile, for quelling any fears that I might have about home schooling my future children. I know the time is not yet here, but it is approaching, and it is the reading of blog posts such as this one that give me confidence in the decision that has been made. I am glad that I could help, D. Perrine. Congratulations on your upcoming nuptials! This is awesome! and what a wake-up call to those homeschoolers who insist on “doing” public school in their living rooms!!!! My oldest son is friends with Josh and I have to say that he is a very inspirational teen who is impacting several others in the area through his example. Sure wish our family could have made one of the talks when you were here, but illness kept us away. My teen is finally starting to have more vision for his life beyond high school (engineering for him), but it seemed like that would never happen. Science and math used to be his most dreaded subjects and now they are his favorites. I am sorry about the illness, Laura, but I am glad that your teen is starting to get his vision for life beyond high school! Dr. Wile, this post was just passed along to me. Josh Russell is my stepbrother’s son and a fantastic young man. We also used your Apologia Science curriculum to teach our three children. Great grounding in science and an excellent tool for teaching critical thinking. Thank you for providing such thorough teaching material!